Hips and thighs tend to be the area of concern for you. Embrace your awesome curves and small waist! Jackets: A cropped piece will make your top appear balanced with your curvy bottom half. But even cropped jackets need to have defined waistlines. Avoid long cuts with low pockets because they will add bulk to your hips. Denim: You’ll want a contoured, storng waist and a higher rise in the back than in the front. The front rise should be less than eight inches, with the waistband hitting at the hipbone or the belly button so it doesn’t cut into the body at the widest spot. To slim the thighs, opt for a rigid fabric that has little stretch. 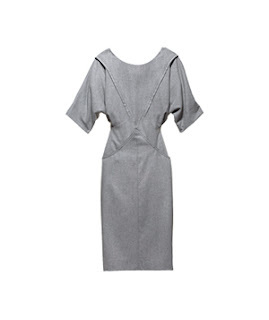 Dresses: Grad an a-line dress that moves gently across your hips to create a slimming silhouette. Styles that offer a bit more volume or interesting detail up top to even out the proportions of the lower body. Avoid cuts that tapper inward, they make hips and thighs look larger. Note: I just really loved the dress shown here and I am not even sure where it is from, but it fits all the requirement for a pear-shaped pleasing piece! 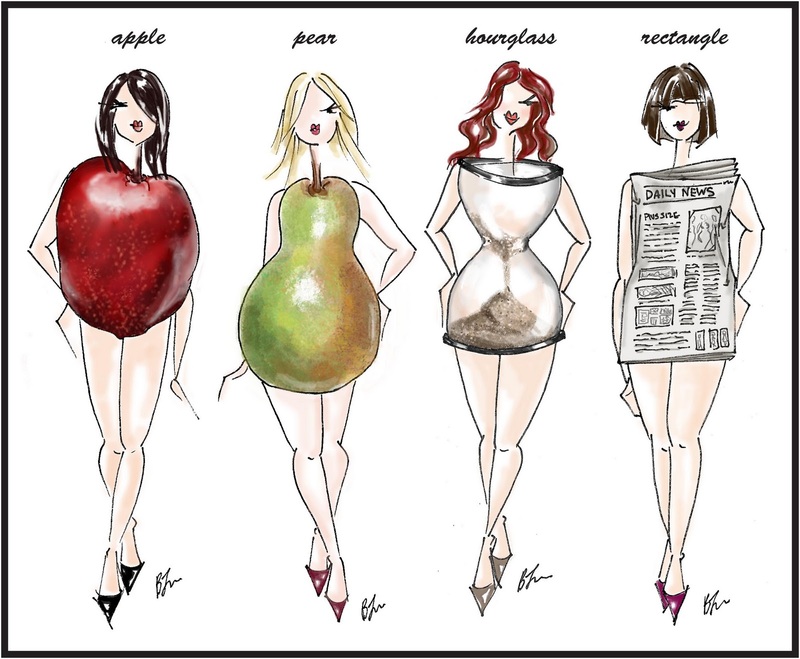 Tops: Pear shapes need to balance out their slender top halves with a curvier bottom by opening up their necklines. Choose tops that are rounded or boat-necked to visually open up your shoulders. Draw eyes upwards with detailing along the neckline of a top, like ties or beading. Also, wrist-length sleeves that line up with the hips direct the eye straight to that area. Materials: Choose fabrics with some stretch or softness, such as rayon, silk, and cotton blends to fall over your hip area. Tomorrow: Shopping tips for Hourglass Figures!